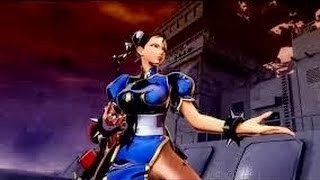 Ludthinks is on the scene with Chun-Li in Ultimate Marvel vs. Capcom 3. See what the uploader has in store while working in the lab inside. With one bar to spend and the help of two assists, Chun-Li can pull off a 968k damage combo. Ludthinks is the provider of the lab work. He mentions being able to pull off a 970k combo that will be uploaded in the future.